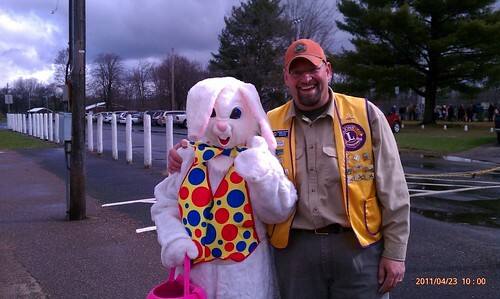 For many years the Menomonie Lions Club has hosted an annual Easter Egg Hunt in Wakanda Park. Come out and watch the the hidden eggs be swept up in minutes by the hundreds of kids when the signal is given. Prizes are won, including basketballs, frisbees, and bikes. The Easter Egg Hunt is typically held on the Saturday before Easter, but is subject to change on a yearly basis. The 2019 Easter Egg Hunt will be held on Saturday April 20th at 10:00 AM at Wakanda Park. The Menomonie Optimist Club will be hosting a breakfast at the Wakanda Elementary School before the Easter Egg Hunt. Breakfast will be served from 8:00 AM until 9:30 AM. The cost is $2.00 per plate. Pictures with the Easter Bunny will be available at the breakfast as well.